The Primary 7 experience at Wellington is unique in Ayrshire. Primary 7 pupils enjoy the benefits of a class teacher, but they also develop confidence and independence by moving around the school to be taught Science, Music, Art, PE and French by specialist teachers. The use of individual Chromebooks enhances the learning experience of each Primary 7 pupil. Learning continues outside the classroom with the John Muir Award (specific to P7) and access to a wide range of extra-curricular opportunities. Wellington School does not close on Monday holidays, therefore, our Primary 7 Taster morning is an excellent opportunity to see our three P7 classes in action! 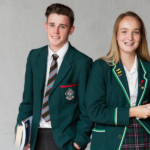 You will experience our warm, Wellington welcome and have the chace to speak with members of our Senior Management Team and Primary 7 Teachers Mrs Clachan, Mrs Bradley & Miss McGowan. Please register by clicking the button here below to email our Admissions Registrar, Mrs Marian Dunlop. Mrs Dunlop is your first point of contact and she will be delighted to assist with any enquiries you may have. We very much look forward to welcoming you to Carleton Turrets on Monday, 6th of May!